I often wonder just how much more productive I’d be if I procrastinated less. Case in point: In attempting to write the introduction for this post, I googled the lyrics to Elton John’s Tiny Dancer. 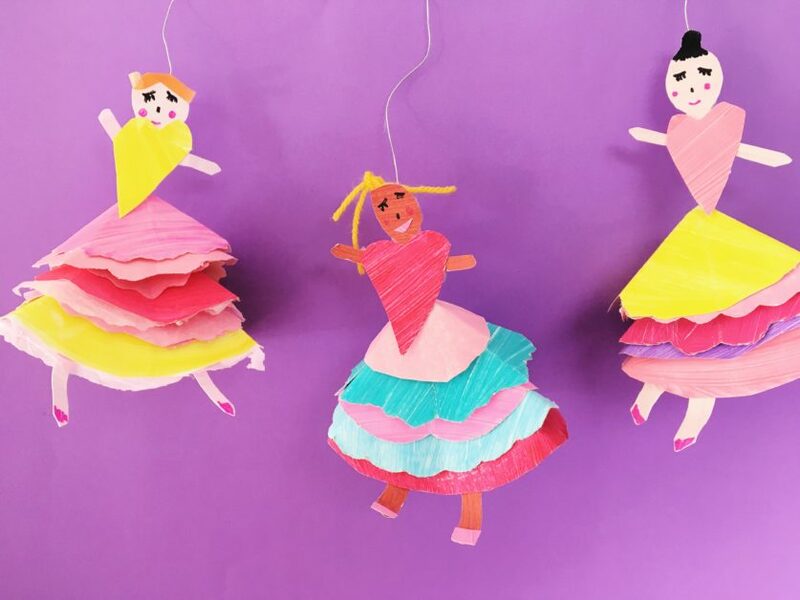 These paper plate dancer puppets have me humming that tune every time I glimpse them hanging up in my home. Here is a good article on the origins of the song. But wait. 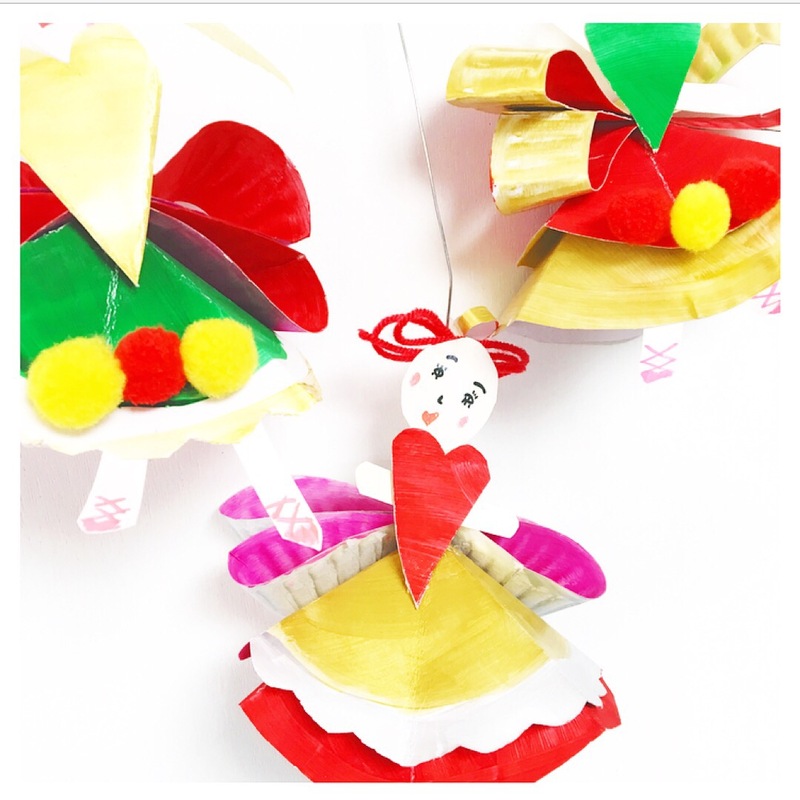 You’re really here to find out how to create these paper plate dancer puppets, right? Well let me show you how. Whilst humming a few bars of Tiny Dancer is not a mandatory part of this making process, it is highly recommended. 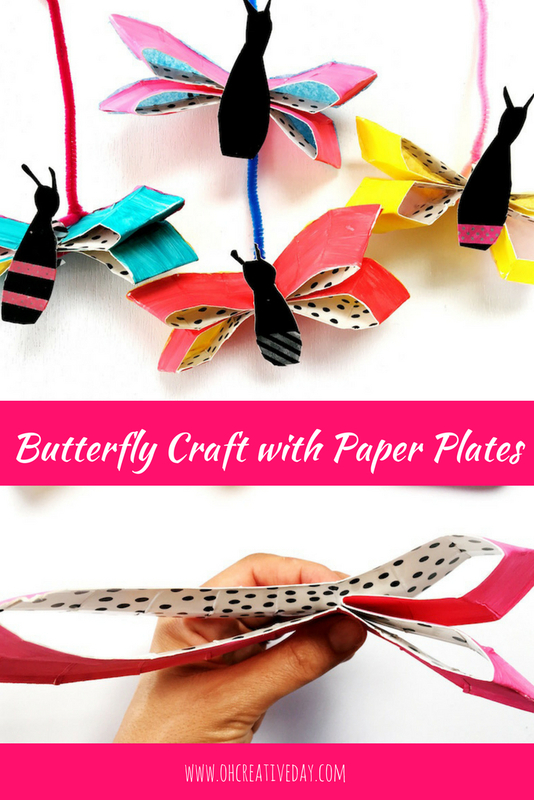 Welcome in Spring or encourage some imaginative play with this butterfly craft made from paper plates. They would be perfect to couple with a reading of The Very Hungry Caterpillar. 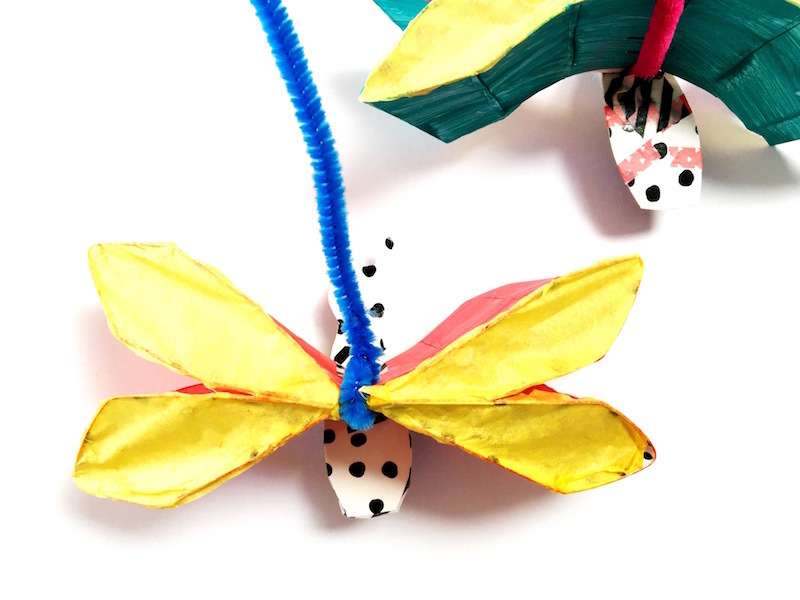 Or perhaps you could make a gazillion of them and string them up as a garland or as a mobile? Of course if the idea of painting gives you the heebie-jeebies, you could choose to colour the rim with coloured markers or crayons instead. Paint or colour the middle section of your paint black. Once the paint has dried, you need to cut out the inner part of the plate whilst leaving the rim intact. The rim will become the butterfly’s wings. Use the black painted section to create a thorax. 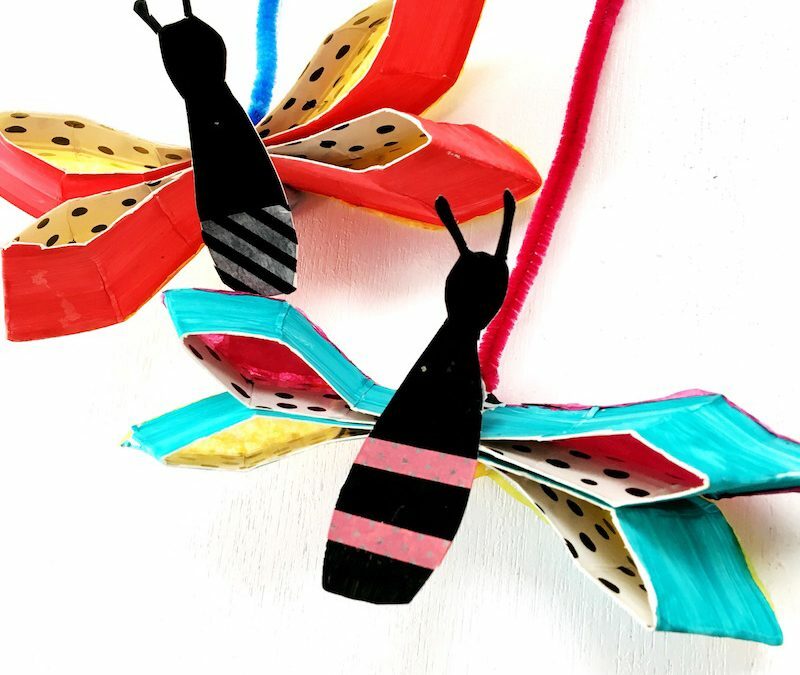 If you like, you could decorate the thorax with washi tape or sequins. Fold the rim in half. Then fold it in half again. Pinch down on the bottom fold and push the outer half towards the middle to create an upper and lower wing. Repeat on the other side and staple these parts together in the middle. I painted craft glue onto the edge of the wings. Place tissue paper over the edges and allow the glue to dry. Once dried, trim the excess tissue paper away. 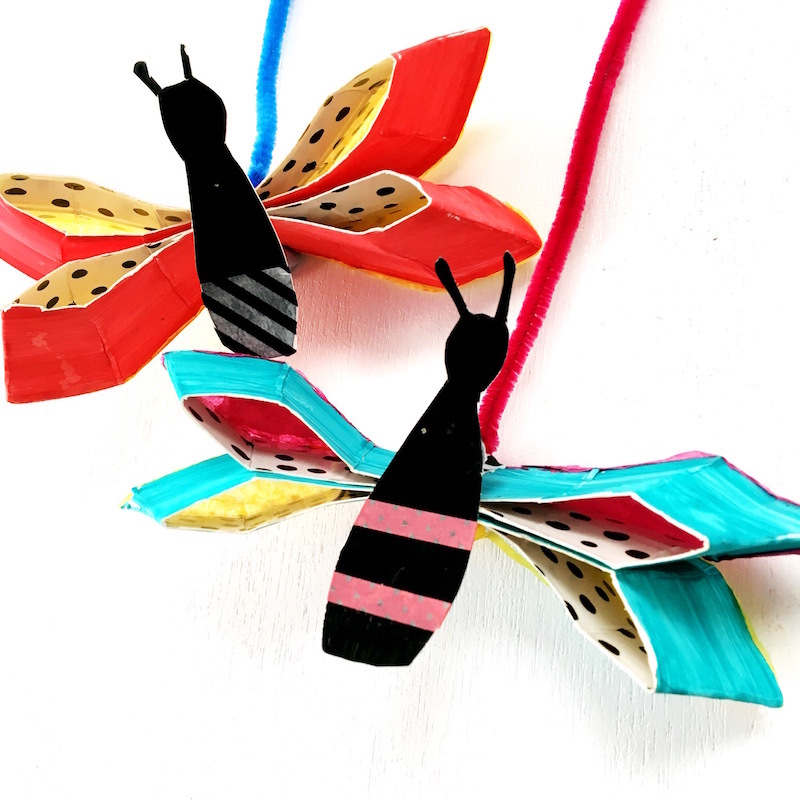 If you wish to turn your paper plate butterflies into puppets or a mobile, wrap a chenille stick around the middle of the wings. You could also use jewellery wire. I tape the thorax to the middle of the wings. 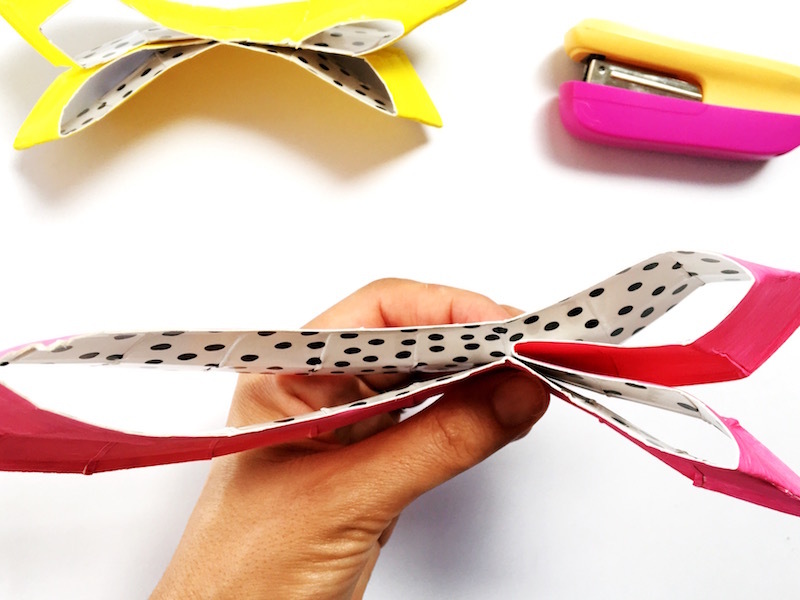 Your butterfly craft is now ready to flutter through the skies. This post first appeared over at The Craft Train. 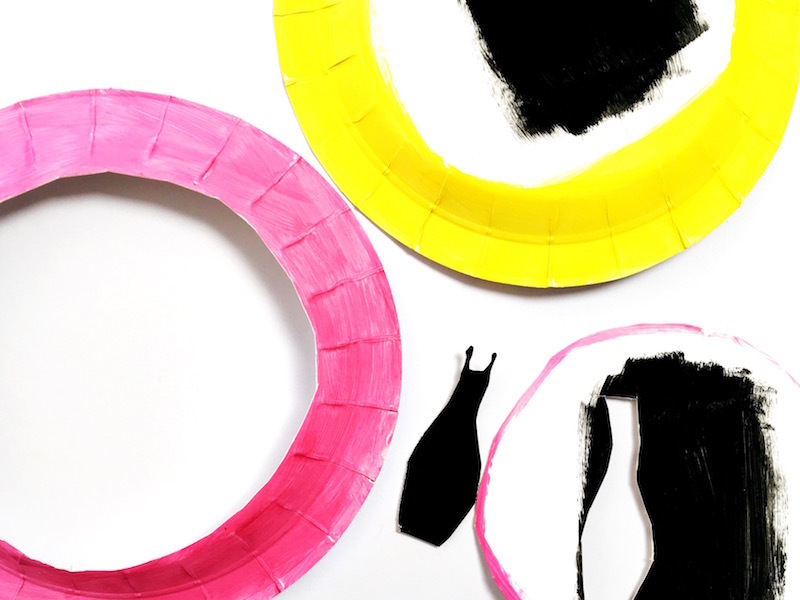 Want more paper plate crafts? 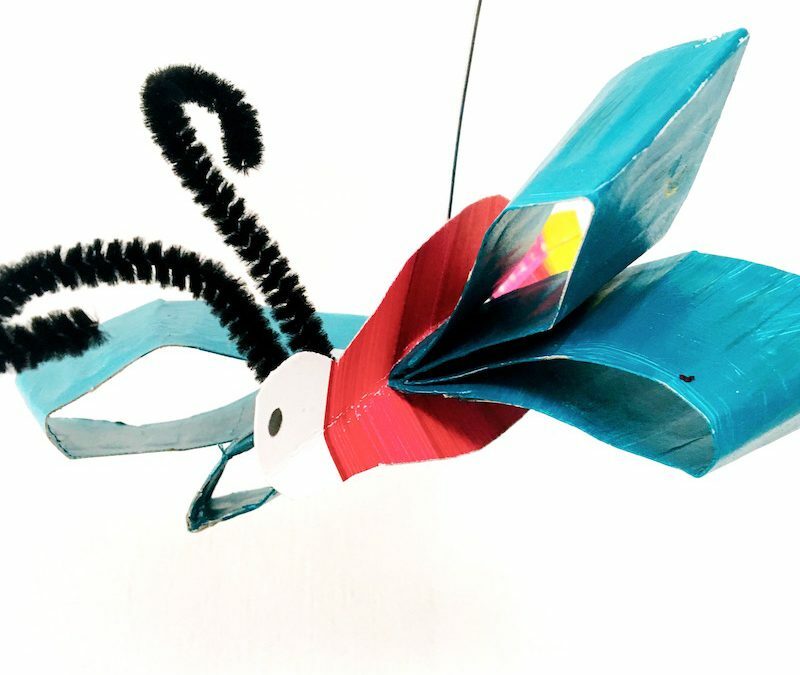 Truth be told, this firefly craft was inspired by an episode of Sesame Street involving fireflies. My little guy then ran around obsessed with finding fireflies. I can see this paper plate project nicely complementing Eric Carle’s The Very Lonely Firefly. )This post contains affiliate links. Thanks for your support! 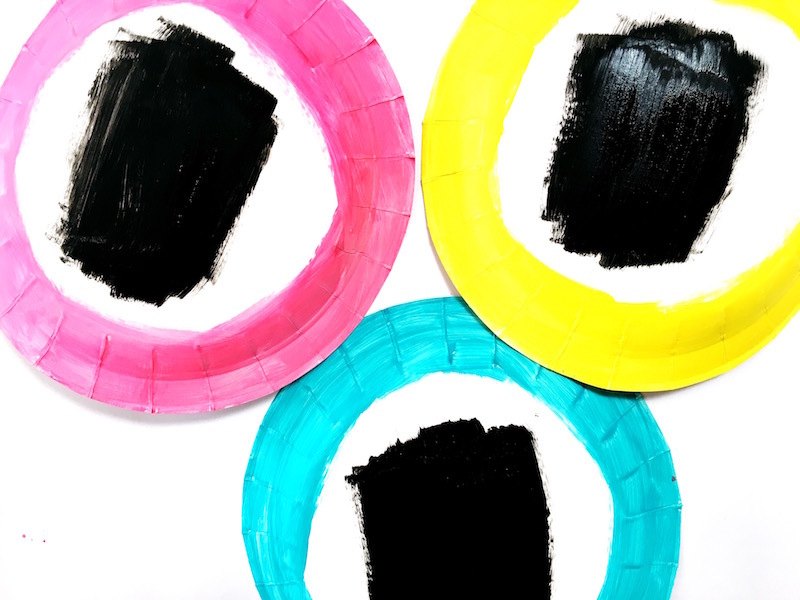 Paint the rim of a paper plate. You will need to paint both sides. You could use 2 different colours. If the idea of painting makes you feel ill, then you can decorate the rim with crayons or markers instead. Whatever works for you and lessens the mess (and stress) for you. The rim will form the firefly’s wings and the centre will be used to create the body. So paint the centre of the plate in the colours of your choice. Make a small incision and cut the centre of the plate out, leaving the rim intact. Fold the rim in half and then half again then pinch together on the bottom fold. Push the outer half towards the middle to create an upper and lower wing. Repeat on the other side. Staple these parts together. Cut down the middle of the firefly’s body, leaving about one-third attached. Slide the wings down the cut and tape the body back together. I used washi tape to then cover up the incision. The above shot is here mainly to keep things real. This is the back view of the firefly. It shows that I have just used tape to keep things in place. I taped some jewellery wire to the firefly’s body. I taped the pipe cleaner antennae to the head of the firefly. I taped the body back together after making a slit for the wing’s to slide in. Your firefly is ready to flit around. I think a mobile of these would be pretty magical. Turns out I have a thing for paper plates. 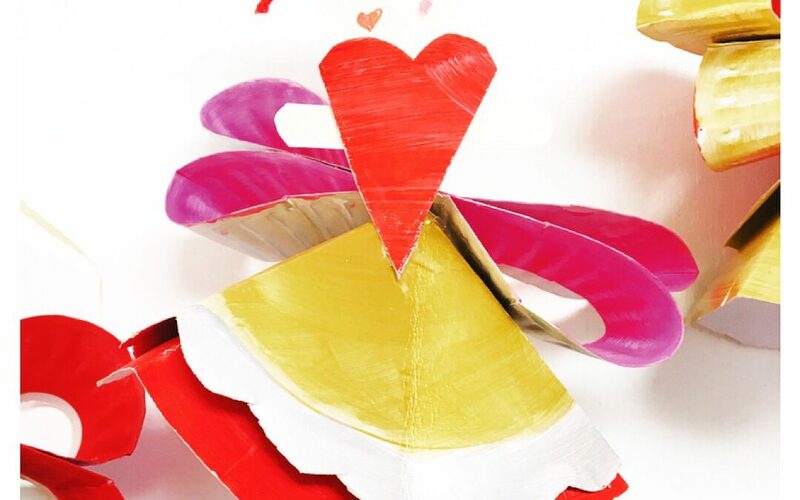 You can check out my dancers, donut bunting and emoji desk caddies- all made from paper plates- here. 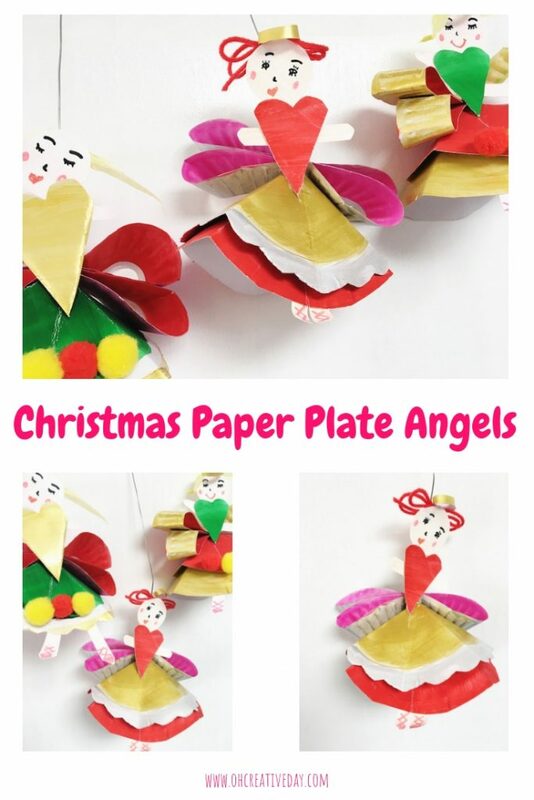 Here are some paper plate fairies. Or a fun way to explore emotions. It’s a long-running joke with my teacher friends that, as soon as the calendar flips to December 1st, it’s a Christmas Craftvaganza! And so here it is- my first festive make for the holiday season. 1 week out from December 1st! 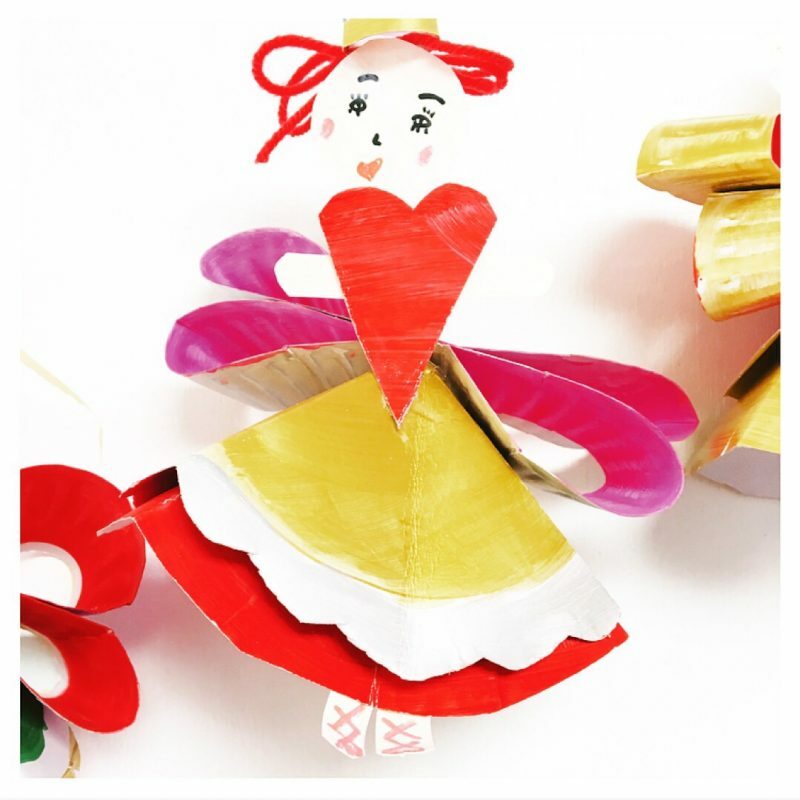 Here is a Christmas angel craft to kick off the festive Craftvaganza! I made these for Kate over at The Craft Train. 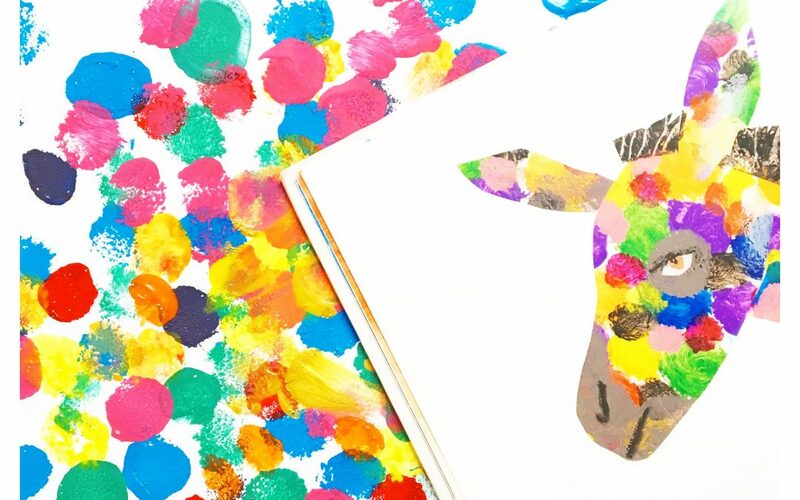 It is such an honour to be able to guest post on her blog of crafty awesomeness. You can find the full tutorial here. Paper plates have been a bit of a craft hero here in 2017. You may recall our paper plate dancers, emoji desk caddies and doughnut bunting. May your festive season be filled with paper plates and endless creative possibilities. So you may have deduced that I have a bit of a thing for picture books and craft. Here are some of my favourite recent book-related crafts.